Kaplan-Meier plot of time to alleviation of clinically relevant symptoms in all phase 2 and 3 studies, that used 10 mg of zanamivir twice daily for 5 days, in an influenza-positive high-risk population. Background Influenza can cause significant morbidity and mortality, particularly in patients considered to be at high risk (such as the elderly and those with chronic disease) of developing influenza-related complications. Data on the efficacy of zanamivir in high-risk patients are lacking because individual studies recruited a limited number of these patients. Methods A retrospective pooled analysis of data from high-risk patients in studies completed before or during the 1998–1999 winter season was performed to investigate the efficacy and safety of inhaled zanamivir (10 mg twice daily for 5 days) for the treatment of confirmed influenza. All studies were randomized, double-blind, and placebo-controlled with 21- to 28-day follow-up. A total of 2751 patients was recruited. Of these, 321 (12%) were considered high risk and 154 were randomized to zanamivir. The median time to alleviation of influenza symptoms and time to return to normal activities were the main outcome measures. Results Zanamivir-treated high-risk patients had a treatment benefit of 2.5 days compared with those given placebo (P = .015). Patients treated with zanamivir returned to normal activities 3.0 days earlier (P = .022) and had an 11% reduction (P = .039) in the median total symptom score over 1 to 5 days relative to those taking placebo. In addition, zanamivir reduced the incidence of complications requiring antibiotic use by 43% relative to placebo users (P = .045). Adverse events reported were of a similar nature and frequency between the two groups. Conclusion This pooled analysis shows that zanamivir is an effective and well-tolerated treatment for influenza in patients considered at high-risk of developing influenza-related complications. Individuals in high-risk groups are the main focus of vaccine programs. Studies in Canada, the United States, and the United Kingdom have shown that vaccination of the elderly reduces hospitalization for pneumonia and influenza and decreases deaths from influenza and its complications.4-7 However, in the frail elderly vaccination may only be effective in as few as 27% and 21% of persons for influenza A and B, respectively.8-10 It is therefore important that effective therapy and prevention be established for influenza A and B in the high-risk population. Most phase 2 and 3 clinical trials using zanamivir for the treatment of influenza recruited insufficient numbers of high-risk patients to demonstrate a significant benefit in this population. Pooled analysis of 6 randomized, placebo-controlled clinical studies was undertaken to use the added sample size to obtain more precise estimates of the efficacy and safety of zanamivir in this patient group. This article reviews the efficacy and safety of zanamivir in high-risk groups from phase 2 and 3 clinical trials in patients with an influenza-like illness. All studies from the main Glaxo Wellcome development program completed before or during the 1998-1999 winter season which investigated the efficacy and tolerability of inhaled zanamivir, 10 mg twice daily, in patients with an influenza-like illness and which recruited patients from high-risk groups were considered for inclusion. On this basis the following studies were selected: NAIB2007 (unpublished data from the Southern Hemisphere, 1995-1996), NAIB3001,15 NAIA3002,16 NAIB3002,17 NAI30009,19 and NAI30010.20 Study NAI30010 investigated the efficacy of zanamivir for prevention of influenza transmission as well as for treatment. Only patients who received zanamivir or placebo for treatment of influenza are included in this review. All of these trials were randomized, placebo-controlled, double-blind, multicenter studies. All treatment cases in the clinical program used a 5-day course of therapy. The studies were approved by the institutional review boards or ethics committees of the participating study centers and in accordance with the Declaration of Helsinki. Patients, or parent or guardian if younger than 18 years, gave written and informed consent before the start of the study. Patients were recruited when influenza was known to be circulating in the community, and on the basis of the presence of certain key symptoms of influenza. There were some slight differences in detail between studies. Studies NAIA3002, NAIB3002, and NAI30009 required that patients have a temperature of 37.8°C or higher and that for patients aged 65 years or older it be 37.2°C or higher. For studies NAIB2007 and NAIB3001, the subjective experience of "feverishness" was sufficient. All studies except NAI30009 and NAI30010 also required at least 2 of the following symptoms: myalgia, headache, cough, and/or sore throat. Study NAI30010 required that patients have at least 2 of the following symptoms: temperature of 37.8°C or higher, feverishness, myalgia, headache, cough, and/or sore throat. In study NAI30009, patients were required to have a temperature of 37.8°C or higher and no other clinical evidence of a bacterial infection. The study protocols were similar in design. Table 1 highlights the key differences between the studies. Each of these studies defined a group of patients as being at "high risk" and included those who, as a result of their age or underlying medical condition, may experience a more prolonged and/or severe course of illness, or may suffer complications as a result of an influenza virus infection. This included patients with chronic respiratory disease (including asthma and chronic obstructive pulmonary disease); significant cardiovascular disease (excluding patients with only hypertension); and elderly patients (≥65 years of age) with or without underlying medical conditions. In addition, the high-risk population in study NAIB3001 included patients who were immunocompromised or who had endocrine or metabolic conditions. Study NAIB2007 included patients with endocrine and metabolic conditions but did not include immunocompromised patients. In studies NAIA3002 and NAIB3002, chronic renal failure was predefined as a high-risk criterion, but no patients with this condition were recruited. Virology specimens from the upper respiratory tract and blood specimens were collected to confirm the diagnosis of influenza by a positive result from any of the following tests: virus isolation; a 4-fold rise in antihemagglutinin antibody (HAI) titer from baseline to day 21 or 28; viral antigen detection (studies NAIB2007 and NAIB3001); or polymerase chain reaction (PCR) assay (studies NAIA3002, NAIB3002, NAI30009, and NAI30010). A medical history was taken and physical examination performed that included patient demographics and medical history, and compliance with eligibility criteria was confirmed on the screening or at the first treatment visit. The patients were randomized to receive either zanamivir or placebo (lactose powder), which was dispensed in indistinguishable Rotadisk blisters for use in a Diskhaler (as per protocol). Treatment started within 36 to 48 hours of symptom onset, with the first dose given under supervision immediately following enrollment. Patients rated their symptoms in a diary card which formed the basis for collection of the primary efficacy data. Studies varied in the duration of time for which patients were asked to record their symptoms. Study NAIB2007 collected diary card data for only 5 days; in other studies, diary card data were collected for 14 days or longer. All of the patients completed the diary card twice daily, except in study NAIB3001, where patients completed the diary card 4 times per day for the first 5 days, and then twice daily thereafter. In studies NAIB2007, NAIB3001, NAIA3002, and NAIB3002, symptoms including headache, sore throat, feverishness, muscle and joint aches and pains, and cough were scored on a 4-point scale (where 0 indicated none; 1, mild; 2, moderate; and 3, severe). Studies NAI30009 and NAI30010 used a 4-point scale for cough and recorded the other symptoms as absent or present. Patients also recorded their temperature, use of relief medication, and ability to perform normal activities. Patients were supplied with relief medication that included an antipyretic (paracetamol or acetaminophen) and cough suppressant (pholcodeine or dextromethophan). In study NAIB2007, only paracetamol or acetaminophen was supplied. Usage of relief medications was recorded in the diary card and patients were advised to use this medication only when the severity of their symptoms warranted it. Blood samples for safety evaluation were drawn on enrollment, and on day 6 for routine laboratory analyses of blood chemistries and hematology in all studies except study NAI30010. Further analyses were performed on day 28 if clinically indicated. The primary end point of the studies was the median time to alleviation of clinically significant symptoms. Alleviation was defined as the absence of fever (ie, a temperature <37.8°C) and no feverishness, and a symptom score of none or mild or absent for headache, cough, myalgia, and sore throat. Alleviation of symptoms had to be maintained for a further 24 hours. Secondary end points included time to return to normal activities, symptom severity scores, and incidence of complications requiring antibiotic use. These measures were pooled for analysis where possible. The primary population for the pooled analysis was high-risk patients with laboratory-confirmed influenza. Analysis of safety and secondary analysis of efficacy were performed on the population of all high-risk patients randomized to study treatment. Time to alleviation of major symptoms and time to return to normal activities were compared between treatment groups using the Generalized Wilcoxon test, stratified by study. Patients who had no positive evidence of alleviation were included as censored at their last diary card entry that did not show alleviation. To assess reductions in symptom severity in the early part of the illness, the area under the symptom score curve was calculated for days 1 to 5 using a scoring system of 0 for symptoms recorded as none or mild; 1 for symptoms scored moderate and 2 for symptoms scored as severe. This measure could not be calculated for studies NAI30009 and NAI30010 because they used an absent/present scoring system. Treatments were compared using a Wilcoxon test stratified by study. Incidence of complications requiring antibiotic use was compared between treatments using a Mantel-Haenszel test, with the analysis stratified by study. All analyses were performed using SAS version 6.12 systems and procedures (SAS Institute Inc, Cary, NC). A total of 2751 patients was recruited into the 6 studies and received zanamivir, 10 mg, twice daily or placebo. Of these, 321 patients were considered high risk. Treatment groups were well matched in demographic and clinical features. The mean age of the patients was 40.1 years with 76 patients (24%) older than age 65 and 48 children (15%) aged 5 to 12. Two hundred and twenty-two patients had chronic respiratory disease; 47, cardiovascular disease; 17, diabetes mellitus; and 2, an immunocomproming disease. The patients' demographic characteristics and clinical features are given in Table 2. Of these 227 (71%) were influenza positive (zanamivir, n = 105; placebo, n = 122). In the patients with confirmed influenza who received zanamivir, the median time to alleviation of clinically significant symptoms was reduced by 2.5 days (33% reduction in illness duration, 5.0 vs 7.5 days, 95% CI, 0.5-4.5 days; P = .015 (Table 2 and Figure 1). Similar results were observed for the intent-to-treat population of all randomized patients (Table 2). A previous pooled analysis of otherwise healthy patients reported a median time to alleviation of 6 days for patients receiving placebo.18 Our results suggest that the time to alleviation tends to be longer in the high-risk group compared with otherwise healthy patients. The median time to return to normal activities was also reduced by 3.0 days in patients with confirmed influenza (95% CI, 0-8 days; P = -.022). Again similar results were observed for the intent-to-treat population (Table 3). Symptom severity (area under the symptom score curve) over days 1 to 5 was reduced by 11% (P = .039) in zanamivir-treated patients compared with placebo-treated patients in the pooled analysis of the 4 studies where it was possible to analyze this outcome. Importantly, incidence of complications requiring antibiotic use was reduced by 43% (95% CI, 1%-67%; P = .045) in the zanamivir treatment group compared with the placebo group for patients with confirmed influenza. A similar reduction of 37% (95% CI, 2%-59%; P = .042) was observed for the intent-to-treat population (Table 4). Zanamivir was well tolerated with adverse events occurring equally among the patients receiving zanamivir and those taking placebo (Table 5). The most frequently observed event in this population was asthma exacerbation or increase in asthma symptoms. There were 24 patients taking placebo (14%) who reported having an exacerbation or increase in symptoms compared with 11 patients (7%) in the zanamivir treatment group. Two placebo- and 4 zanamivir-treated patients were hospitalized owing to influenza-related complications. This pooled analysis shows that high-risk patients with confirmed influenza who were treated with zanamivir experienced a 2.5-day benefit in alleviation of clinically significant symptoms compared with patients who received placebo. The benefits of zanamivir treatment are apparent not only in this 33% reduction in duration of illness but also in the significant reduction in severity of symptoms and 43% reduction in the incidence of secondary infections requiring antibiotic use. Those who received 10 mg of inhaled zanamivir twice daily for 5 days also benefited from a 3.0-day reduction in the amount of time before returning to normal activities compared with the placebo-treated group (P = .022). These findings support the data from the MIST (Management of Influenza in the Southern Hemisphere Trialists) study15 that showed zanamivir significantly reduced the time to alleviation of symptoms in high-risk patients by 2.5 days compared with the placebo group.15 The incidence of complications in the high-risk population in the MIST study was reduced by 70% in patients treated with zanamivir compared with placebo recipients (14% vs 46%, P = .004).15 Moreover, high-risk zanamivir-treated patients had a 63% reduction in complications requiring antibiotics compared with high-risk patients given placebo (14% vs 38%, P = .025).15 The reduction in antibiotic use is particularly important because overuse of antibiotics is cited as one of the reasons for increased rates of bacterial resistance. Therefore, this reduction is likely to be both clinically and economically relevant. The high-risk population studied in this pooled analysis were defined as those who, as a result of their age or underlying medical condition, may experience a more prolonged and severe course of illness or may suffer complications as a result of influenza virus infection. The majority (69%) had chronic respiratory disease, mainly asthma, and 24% of the study population were older than age 65. The remaining patients had cardiovascular disease or diabetes mellitus, or were immunocompromised. Further studies are continuing in high-risk patients to confirm these results. The excellent compliance throughout the zanamivir clinical program (90%-98%)15,17 would suggest that patients generally find the Diskhaler easy to use. Moreover, no patients were excluded because of the inability to administer the medication. In a recently published community survey it was reported that 90% of patients found the medication easy (32%) or very easy (58%) to administer.26 Furthermore, the inhaled method of administration targets delivery of zanamivir directly to the primary site of viral replication, the respiratory tract, while limiting systemic exposure. This is particularly relevant in the elderly and in those for whom metabolism and elimination of systemically administered drugs frequently cause problems. In the clinical trial program, zanamivir has an impressive safety profile, which was not different from placebo. In widespread postmarketing surveillance, there have been very few reports of respiratory adverse events associated with zanamivir. The benefits of annual influenza vaccination in high-risk groups has been demonstrated and this is an important public health measure; but because of the ability of influenza virus to undergo antigenic drift, these vaccines do not always match circulating strains and they may offer less protection in the elderly.27-29 Thus there is a real need for well-tolerated, antiviral agents as adjuncts for effective management of both influenza A and B.
Zanamivir is the first antiviral agent that is effective against both influenza A and B. 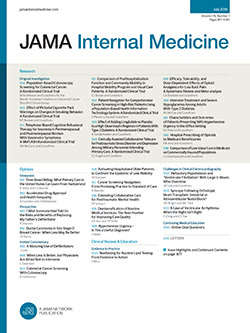 It is targeted directly to the primary site of viral replication in the respiratory tract, which not only results in the rapid onset of antiviral action30 but also in low systemic exposure.31 The findings of this pooled analysis demonstrate that zanamivir is efficacious and well tolerated in patients at greatest risk of complications of influenza. Therefore, this compound is an important addition to the treatment options open to physicians especially for their high-risk patients, which includes the elderly and those suffering from chronic disease. Accepted for publication October 26, 2000. Funding for the studies was provided by Glaxo Wellcome Research and Development, Greenford, England. This work was presented in part at the Interscience Conference on Antimicrobial Agents and Chemotherapy, San Francisco, Calif, September 26-29, 1999. We thank Karen Barrett for programming assistance. Corresponding author and reprints: Jacob Lalezari, MD, Quest Clinical Research, 2300 Sutter St, Suite 202, San Francisco, CA 94115 (e-mail: drjay@questclinical.com).